Samogitia has always been a separate republic. 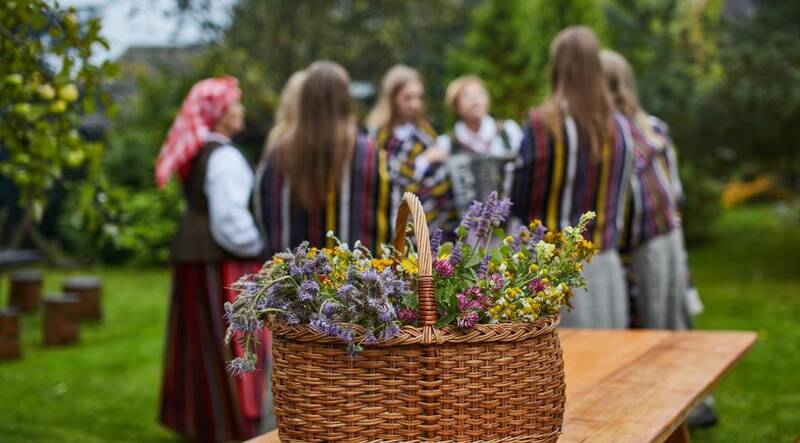 A part of Lithuania, but at the same time not a part of Lithuania, it has preserved its identity and culture over the centuries, and the Samogitians have preserved their stubbornness and language. Samogitians were the last Europeans to convert to Christianity, and pagan altars can still be found on the hill forts there to this day. 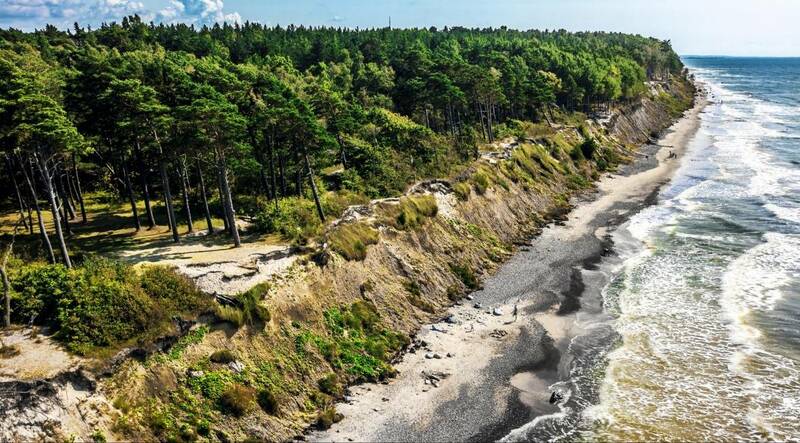 Scouring one of Lithuania’s most mysterious lands for traces of its dramatic history is truly amazing. You might be surprised where they will take you. Dignified, stubborn, brave and militant. Even after moving to other cities, Samogitians retain their identity, group together, take pride in their Samogitian “passport”, and tell everyone about their land, and about their ingenious artisans and artists who are full of modern ideas. Samogitia’s vernacular architecture was perhaps the least affected by Soviet reforms, making it a good place to check out authentic chapels and wayside shrines, and look for interesting metalwork forged by talented Samogitian blacksmiths. Artists who have fallen in love with the Samogitian capital of Telšiai give the city their wonderful pieces of street furniture. Counting them all is impossible, but trying to find them is worthwhile. Samogitians are special. Their cuisine is special too. Their dishes are nothing like the ones made in other regions. One day they’re making kastinys with soured milk and eating it with potatoes, and the next they’re pouring blood into meal, stuffing it into pig intestine, baking it in an oven, and putting it on the table. They also cook herring, debone it, and then put it in seasoned, acidulated water flavoured with grated potatoes. We can imagine what you’re thinking! But give it a try – it’ll be so good that you’ll ask for more. Samogitians are lucky – they have the sea. You can just sit there on top of Olando Kepurė (“Dutchman’s Cap”) at Seaside Regional Park, looking into the distance and dreaming. The nature of Samogitia is beautiful, and the manors that loom in its refuge harbour interesting legends and stories that inspire creativity. 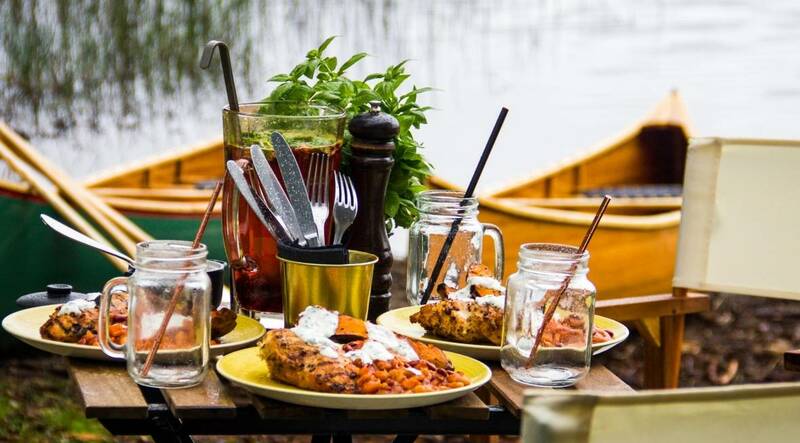 Don’t miss the Samogitian capital of Telšiai, which is nestled on seven hills next to a lake. You would have a hard time counting all of the works of art that the artists who have studied here left the city. Feel the greatness of the Ogiński Manor, turn a completely different page in Lithuanian history at the Cold War Museum near Plungė, and don’t miss the Hill of Crosses. Even if faith in a higher power is not your thing, climb up to the very top and capture the moment. Happy is the one who can.